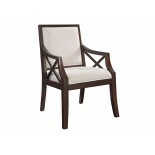 Accent Chair. 100% Polyester Fabric. 34" W x 36" D x 38" H Matches the Prism Elderberry Cha.. 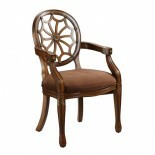 Accent Chair. 100% Polyester Fabric. 34" W x 36" D x 38" H Matches with the Structure Toast.. Accent Chair. 100% Polyester Fabric. 34" W x 36" D x 38" H Matches the Sensations Black&nbs.. 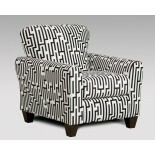 Accent Chair. 100% Polyester Fabric. 34" W x 36" D x 38" H Matches the Sensations Capri Sof.. 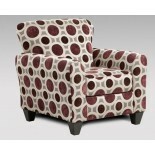 Accent Chair. 100% Polyester Fabric. 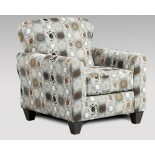 34" W x 36" D x 38" H Matches the Vivid Onyx Sofa.. 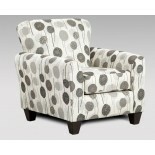 Accent Chair. 100% Polyester Fabric. 34" W x 36" D x 38" H Matches the Elizabeth Ash Sofa &.. 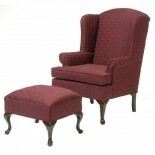 Accent Chair. 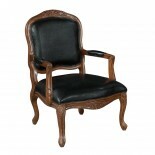 Dark Brown Finish Intricate Hand Carved Details Black Leather-Like Seat, Back.. Accent Chair. Rich Brown Cherry Finish Square Back with Tapered Legs Precise Curves &a.. Accent Chair. 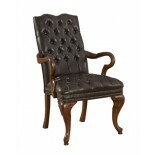 Rich Brown Finish Dark Faux Leather Double Rows of Nailhead Trim High Back .. 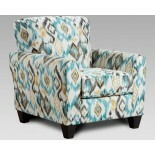 Accent Chair. Warm Brown Finish. 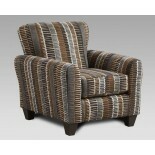 Comfortable Plush Brown Microsuede Seat. Spider-Back with ..
Wingback Chair & Ottoman Traditional Style Reversible Cushion Wooden Legs Hardwood Fr..